Welcome to Room Three's classroom blog, where you will find what we have been up to in class along with children's achievements. This years theme is "embracing the journey" and 'Self-Control' is the fruit of the Holy Spirit this term which is being encouraged in the classroom. We are practicing this value by thinking STOP, THINK & MAKE A GOOD CHOICE. Children who display this value will be recognised each week and awarded with a mini trophy. 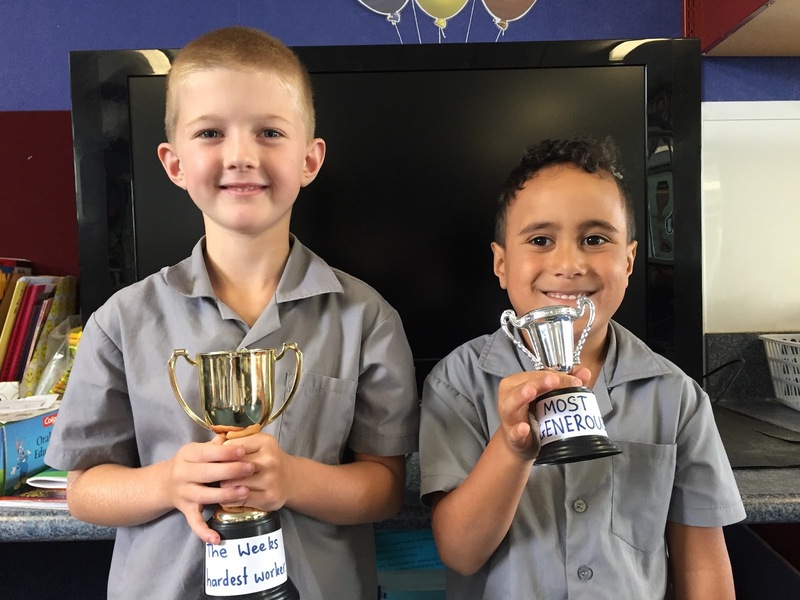 The ‘hardest worker’ trophy has been awarded to Joshua Corrin (left) for his hard working attitude towards reading and writing! Well done, keep it up!